It’s Thanksgiving and there’s only three F’s that matter; food, family and football. As is tradition, the Washington Redskins play Thursday evening in primetime on Thanksgiving. This year though is a bit different as the Redskins are at home and instead of playing their arch nemesis, the Dallas Cowboys, the New York Giants make the trip down to Landover, MD. The Redskins are coming off a heartbreak loss against the New Orleans Saints whereas the Giants pulled an upset by defeating the Kansas City Chiefs in overtime. Strange? Very. It’s truly a peculiar season to say the least and although the Redskins appear to have the upper hand going into the game, anything is possible in a divisional matchup in the NFC East. 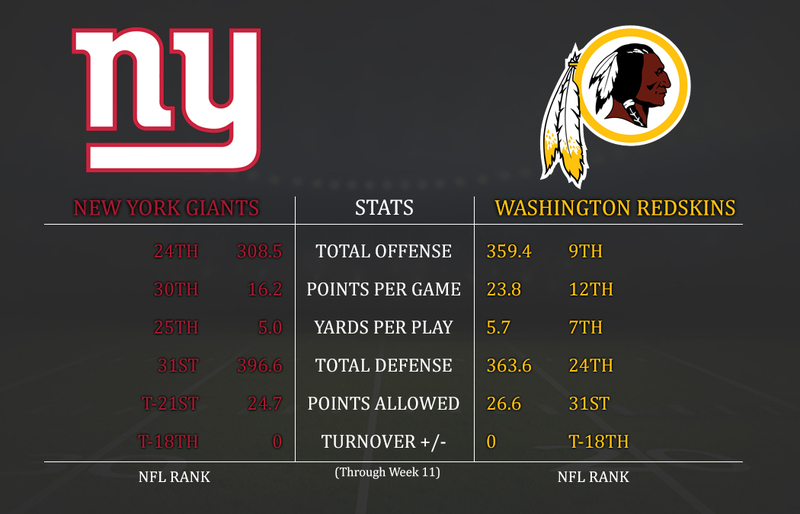 Comparing the offenses of the Redskins and Giants there’s a fairly large gap which mainly stems from the Giants losing their receiving corp. They lost Odell Beckham Jr, Brandon Marshall and Dwayne Harris for the entire season just after the first few weeks. Granted the Redskins have been plagued by injuries as well but no one has the same impact that Beckham had for the Giants. Although, the newest injury for the Redskins may have a similar effect. In last week’s game against the Saints, Chris Thompson broke his right fibula late in the third quarter and has been put on season-ending injury reserve. Also added to that list this week is Terrelle Pryor and Spencer Long. Pryor hasn’t been much of a factor this season so won’t necessarily hurt the Redskins whereas losing Thompson who has been their best playmaker will definitely hurt. Losing Long may have an impact but Chase Rouiller has played center well enough to provide protection. On the other side of the ball, both defenses are bottom third of the league. Having been plagued by injuries, the Redskins are second-to-last in average points allowed per game at 26.6. 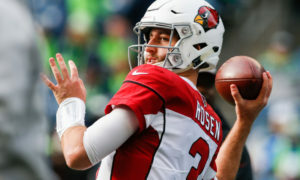 They’ve faced some of the league’s most potent offenses such as; Saints (ranked 1st), Eagles (ranked 3rd), Rams (ranked 4th), Vikings (ranked 5th), Chiefs (ranked 6th), and Seahawks (ranked 7th) which may account for the low rankings. Out of their 10 games, the defense went up against top 10 offenses seven times (played the Eagles twice). Not necessarily an excuse but just a reminder of how brutal this schedule has been. The Giants are second-to-last in average yards per game, 396.6, and have been gashed by big plays. Despite having a strong roster, it seems as though they’ve been having a hard time being a cohesive unit as well as a lack of communication between plays. This trend should continue as Kirk Cousins is ranked second amongst quarterbacks in completions over 20 yards. Even if the passes are incomplete it will force the defense to defend the deep ball which should open up the running game. Ultimately it’s an NFC East divisional battle where anything is possible and Cousins has had trouble against the Giants in the past. 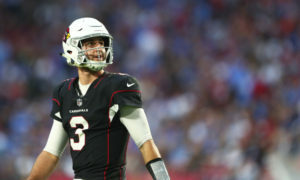 He’s currently just 2-4 as a starter but having grown as a quarterback, will it be enough to succeed? There’s two completely different versions of Eli Manning which come out depending on pressure. If given enough time in the pocket, Manning will dissect the defense with his arm. If he feels or sees any type of pressure causing the pocket to breakdown, Manning has a tendency to fall to the ground or quickly throw the ball out of bounds. He’s not really known for his mobility and getting outside of the pocket to extend a play so the Redskins will have to bring pressure constantly. The Giants will be without right guard D.J. Fluker and in his place will be Jon Halapio who is making his first career start. Not only will Fluker be out, right tackle Justin Pugh will not play this Thursday. Rookie Chad Wheeler will get the start who played fairly well last week against the Chiefs. He blocked well in run and pass protection, showing strength and agility to make the necessary blocks. 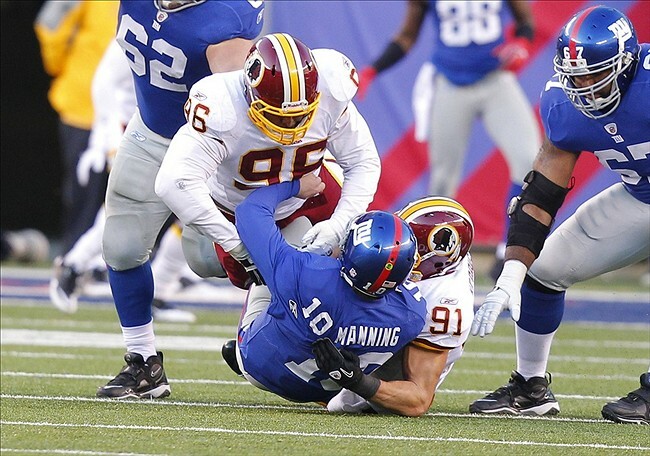 Ryan Kerrigan will have to be ready to bull rush Wheeler early to try to get him off of his rhythm. Definitely not an ideal situation but this season has been all about utilizing the depth and getting the most out of each player. Anthony Lanier II has stepped in for Jonathan Allen and Matt Ioannidis and has played well but with so many unknowns suiting up, it will be a challenge to get to Manning. Many players will be getting their first opportunities on defense and while the Giants line has been suspect at time, if players like Zach Vigil and Josh Harvey-Clemons are unable to get pressure, they could be in for a long day. The Giants may be without their #1 receiver, Sterling Shepard which would result in a group of unknowns that somewhat resembles what the Redskins have been doing. Tavarres King, Travis Rudolph and Kalif Raymond would be the starting receivers and even though they aren’t household names, they are still potential threats in the passing game. It goes back to giving Manning too much time in the pocket. He’ll ultimately find a receiver that’s able to get separation or will connect with his new favorite target; Evan Engram. The biggest thorn in the Redskins defense, tight ends. Each and every week it seems as though the opposing team’s tight end is allowed to run free on the field. The Redskins linebackers are solid against the run but completely inept while in coverage. Unfortunately, the Giants rookie tight end Evan Engram has become one of the biggest playmakers on the offense. An extremely well rounded threat that the Redskins will need to focus on. Zach Brown still hasn’t quite figured out coverage and with an unknown at who will start alongside Brown, the center of the field may be open enough for Engram. The Redskins may have to use either DeAngelo Hall or Deshazor Everett, whomever starts at strong safety, to spy on Engram. Even if they do bring the strong safety down in the box, the Giants have turned towards their running game with Orleans Darkwa. This would just help bolster the defense against the run. The rest of the Giants receivers aren’t as skilled as Engram and can be blanketed by Josh Norman and Bashaud Breeland. Even though Norman had one of his worst games last week, he’s the type of player that will mentally prepare himself and correct his mistakes quickly. There’s no reason why he can’t shut down his side of the field. Add in DJ Swearinger who has three interceptions in the past two games and the rest of the passing game can be controlled. It all comes down to not allowing Engram to run free down the field, an issue that many teams have faced. Chaos on the offensive line but Cousins manages to stand tall in the pocket to deliver the ball to his receivers. It’s almost expected by him that there will be pressure immediately. Even in the face of a guaranteed hit, Cousins still has managed to release the ball and give the receivers a chance to make a play. Now with the offensive line in pieces once again, the pass protection may break down quicker than Cousins would like. Using Samaje Perine in the backfield to pick up the extra man may be the difference between a sack and a 20-yard completion. Last week, Perine missed a blitz that resulted in a forced fumble at the end of the Saints game. Perine will have to be more disciplined to keep Cousins upright. Two tight end sets would also provide an extra blocker as long as it’s either Niles Paul or rookie Jeremy Sprinkle. Both have shown blocking skills and Sprinkle even caught his first catch, for a touchdown, last week. With Jordan Reed out and many teams keying in on Vernon Davis, Sprinkle may begin to see the field a bit more. At least for a decoy so that Davis can continue to be the Redskins leading receiver. Now with Thompson out for the reason, the receiving group spearheaded by Jamison Crowder and Josh Doctson will have to step up against a strong secondary. 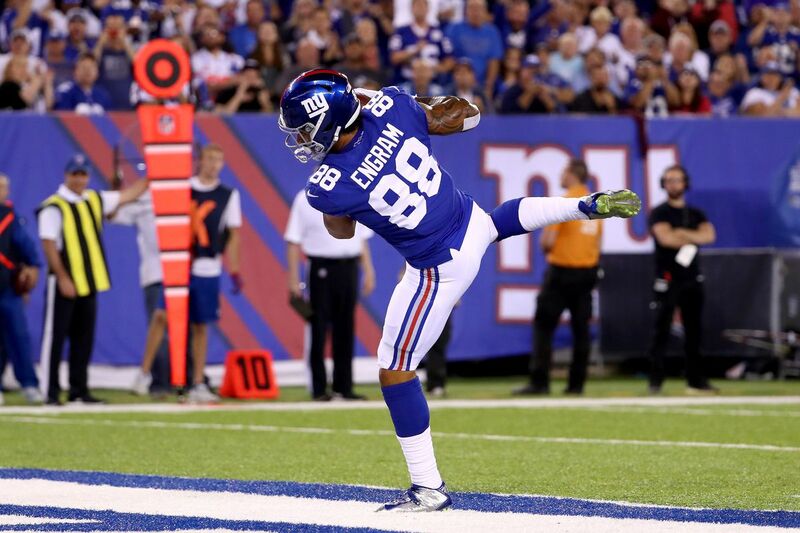 Luckily, Ryan Grant has come up big several times for the offense and may be underestimated by the Giants. While cornerbacks Janoris Jenkins and Dominique Rodgers-Cromartie are covering the primary receivers, Grant could run a quick dig route for several yards. It may not electrifying but getting into a 2nd and 5 is more manageable. That’s not to say there won’t be opportunities down the field. Last week, the Chiefs attempted several deep passes that ultimately came up short moreso due to bad passing. Overthrown passes were the cause of two of the interceptions, not because of tight coverage. One pass came from tight end Travis Kelce. There were several “trick plays” that the Giants were prepared for and something the Redskins should shy away from. There’s no need to shy away from what’s been working and despite the 4-6 record, the offense has been playing well. Having put up 30 or more points on the Vikings and Saints, both of whom are considered top 10 passing defenses, it’s not impossible to think that they can produce that many points against the Giants. With that said, it will boil down to the offensive line. The Giants pass rush is stout with Jason Pierre-Paul and Olivier Vernon creating havoc for quarterbacks. Pierre-Paul leads the team with four and a half sacks and two forced fumbles, all of this with a club for a hand. He still has incredible leg strength to drive back his blocker into the quarterback. Behind him, linebacker Devon Kennard has had several open lanes thanks to the pressure from the front four. A big advantage will be if defensive tackle Damon Harrison is unable to play. Nursing an ankle injury, Harrison did not participate in practice on Monday and is currently a gametime decision. Harrison is a bully in the trenches, using his weight and power to manhandle anyone who tries to block him. With the way the offensive line is shaping up for the Redskins, Harrison and Pierre-Paul may be setting up camp in the backfield. Even though Cousins has shown he can extend plays or deliver a pass under pressure, there’s only so much a quarterback can take. If there’s no assistance in blocking if the line breaks then the passing game will flutter. Perine should expect to be used in the screen game in place of Thompson to help Cousins get rid of the ball quickly. If not, at least to chip block before getting into the flat. With an unknown at what to expect from the running game, keeping Cousins upright will be the difference between touchdowns and punts. 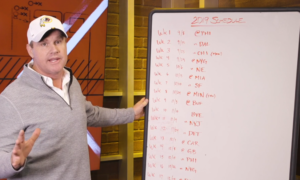 Week 12 – Heartbreak, Hurt Players, and Q&A!